to raise a family. | wull hay. June 17, 2012 June 17, 2012 / rach. 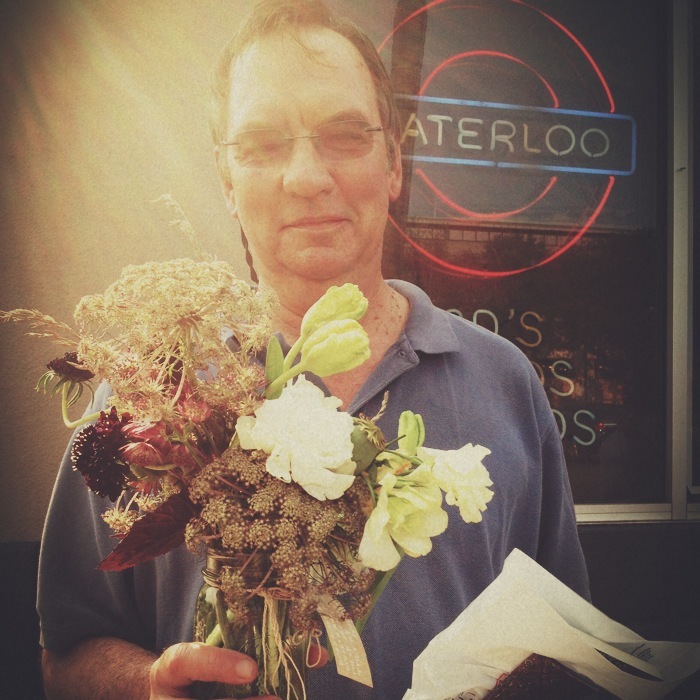 daddy with his loretta flowers on his birthday. My dad is definitely a character… one that I love dearly and cannot wait until the next time we get to spend time together. My dad has expressed before that all he ever wanted to be was a father. This year, it hit me more than ever. I am a part of something that someone wanted more than anything. I can’t help but dwell on that. And the fact that my dad is hilarious, loving, talented, genuine… well, that makes it even more amazing that that person, my Daddy, wanted me… wanted us all… my mom [his love], my sister [his soulmate], my brother [his best friend], and me. Thank you, Daddy, for wanting us all more than anything. We love you dearly. Enjoy this day of celebrating being a father… being a family.